If you are planning a wedding party, you might feel a bit overwhelmed. Oh, the number of things you need to keep in mind! 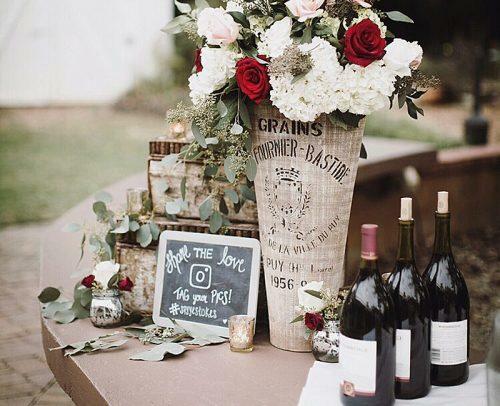 (use our wedding planning timeline to make sure you do everything on time) One of the problems that arise when you are planning a reception is trying to figure out how much alcohol you are going to need. 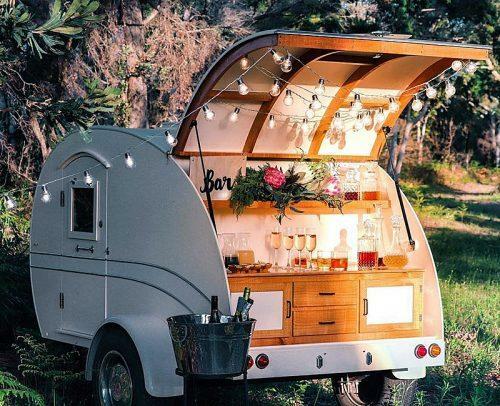 As any other detail of your Big day, your wedding booze needs careful planning. Our wedding alcohol calculator can help you out. Think How Long Your Reception Will Go On? Let’s take a look at some other things that can help you organize a great self-serve bar at a wedding. Despite the statistics, let’s try to break up numbers and discuss the average cost of alcohol for a wedding. 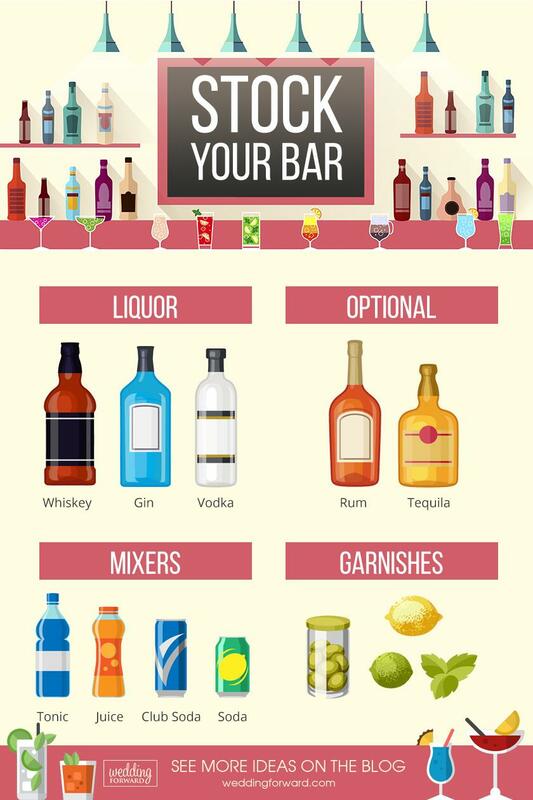 It might be not specified on the guide on how to plan a wedding, but first, choose the type of the bar. An open bar is an approach your guests would appreciate the most. Open bar wedding cost can be a bit over the top, though – guests don’t pay for anything, which means some of your guests might get completely drunk. If you know a friend who can indulge too much – warn the bartender in advance. The Limited Bar offers a selection of drinks at specific times: the cocktail hour, the toasts and during dancing. The Cash Bar is quite a bad option, where the guests pay for everything. A Dry House will do if you are sure your friends and family don’t drink alcohol. Serve non-alcohol beverages instead: soda, juice, water, tea etc. When you are trying to calculate, how much beer for a wedding you are going to need, keep in mind several things. First of all, the total amount of alcohol depends on how long your reception lasts. So before you start your estimations, you need to understand the length of the party. On average, a wedding reception lasts about 5 hours. Usually, wedding planners assume that guests will have 2 drinks in the first hour of the open bar, and 1 additional drink each following hour. Also, it is wise to add 1 more drink for situations when guests misplace their drink while dancing. So it brings our numbers to 7 drinks per person for a 5-hour event. Of course, it is possible that some people will not drink at all, or drink less than expected – but we recommend to stay safe. Wine bottles will make great gifts in case you have some left, and it is better to have more than to worry that you didn’t order enough. Trying to figure out how much wine for a wedding and using a wedding alcohol calculator, keep in mind the average size of a drink. It’s easy to calculate the number of bottles you have to provide if you want to keep your guests happy. Usually, one bottle of wine is approximately 5 drinks (750 ml bottle). One bottle of champagne equals 8 glasses, while one bottle of hard liquor will make around 18 drinks (750 ml bottle). And of course, one bottle of beer is one serving. Also, don’t forget, that drinks do not pour themselves! Beer is easiest to serve if you are wondering how to serve alcohol at a wedding without a bartender. An open bar requires at least one bartender to pour wine, liquor, and champagne, a limited bar needs a couple of waiters to serve drinks, while a cash bar will require regular bar staff from the venue. Another thing to consider is your wedding liquor list. 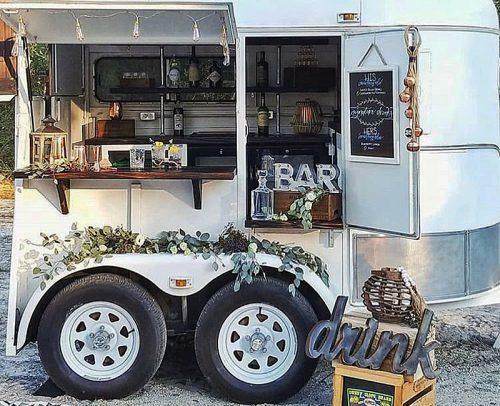 There are several options you can offer: a full bar, where you offer wine, beer and a variety of mixed drinks, or you can serve wine and beer only. A full bar is a more costly option, as apart from the liquor, which is expensive by itself, there are also mixers. Whatever you choose, remember, that people usually drink the heaviest the first 2 hours of a party. Also, it’s nice to know that in hot weather people drink more white wine than red, and more beer than mixed drinks. On average, for every liter of hard liquor, you need 3 liters of mixers like soda, juice etc. Also, the more mixed drinks you serve, the more ingredients you’ll need on hand, so if you want to be frugal, keep it simple and limit the varieties. If you are going to play drinking games, make sure you have all the ingredients. Now all you need to do is to decide where to buy alcohol for a wedding, and voila! Also, don’t forget to buy ice, ice buckets, ice chests or coolers, stir sticks, glassware, if your venue doesn’t provide it, garbage bins and bags. You might also need sliced lime, cherries, olives, and other ingredients if you are going to serve mixed drinks. 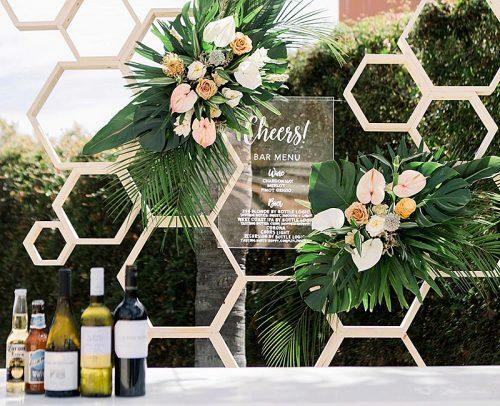 Making a DIY wedding bar can seem quite frustrating at first, but in reality, it only requires several simple calculations. Do not forget, that all the numbers above are nothing but statistics – you know your guests better. So feel free to change the numbers as you see them.